Welcome to our new online learning center. Learning lessons have been organized into different libraries. There are features for varying levels of members. I need your support to continue to develop and maintain this learning center. Our goal is to make this learning center to be more accessible for you to enjoy with up-to-date content. Before you start, please view the introduction video for guides on how to use this learning center to fit your learning needs. If you are not a member and you like to learn with us, please come to join us, as low as $1 per month you can be part of our artist learning community. We need to support. You can come to our Patreon page to view and choose the benefits that you need. 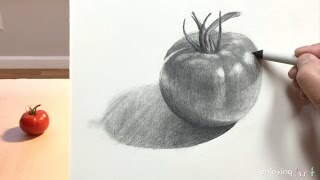 Among all forms of painting and drawing, the principle challenges are the same, how to take care of the dark and light shapes, motion... drawing let you focus on the basic elements that really matter and essential in developing our own artistic expression. 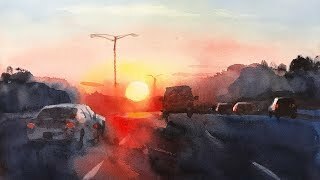 Watercolor is a romantic painting medium, it is fun, advanturous, and it is always full of surprises. 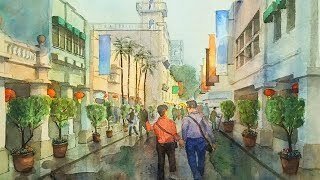 Through this library you will master the watercolor techniques, different painting approaches. Then you will feel easy in learning other subjects or other mediums. Animals are fun to study and paint. 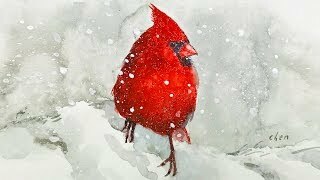 Here I collected some of my recent watercolor painting lessons using animals as the subject matters. No matter what are the subject matters, we are making artwork, creating and balancing elements to express our feelings. 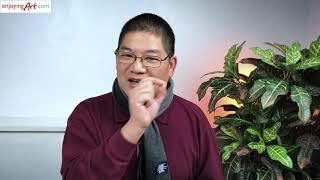 In the recent years, I produced more than 10 watercolor landscape painting lessons. I collected them into this workshop, so you can see these lessons in one place. Each lesson focused on one aspect of the solutions for the challenges of landscape painting. People is a subject among many others in drawing and painting, but many have most fears toward portrait. 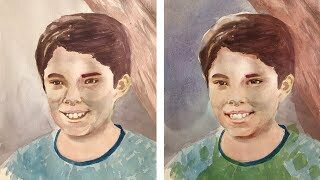 As soon as we learn the foundamental observational skills with portrait drawing, portrait painting will no longer a mystery. Let's start with the portrait basics. 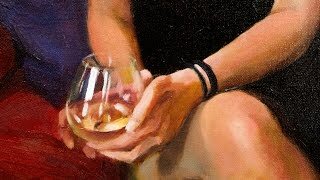 Almost everyone agrees, painting portraiture is not easy, it requires the most discipline. Not only we need to obtain the likeness of the person, but more importantly, we need to capture the personalities. 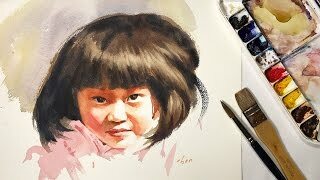 Portrait painting with watercolor may be the most challenging. 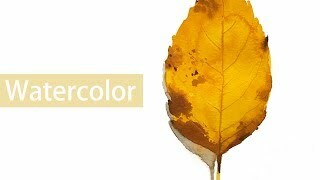 This is a new addition and it will be expanded to cover many aspects of opaque painting mediums and different subject matters. In the future it will include all other opaque painting mediums, and then may be expanded into multiple libraries in the future. This library is a collection of critique lessons for our past advance members' paintings. Each critique was targeted to a particular challenge, with solutions for the problems the painting presented. Become an advance member and start getting your paintings critiqued. Perspective is important. Light can set the mood and bring out the soul of the painting. In these critique lessons, I will show you how to change the lights and shadows from a reference to make a painting appear more exciting and dynamic. Figure is artists' favorite inspiration for drawing and painting. In this collection of lessons include techniques and methods for different tools and mediums, with different length of time and poses. 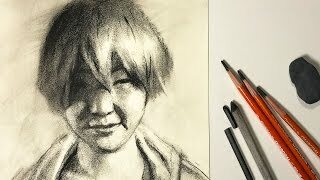 If you like figure drawing and painting, learn the drawing basics. 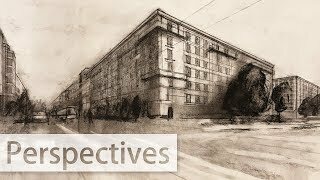 Perspectives for art include one-point, two-point, three- point, and aerial perspective. Perspectives have been often seen as "too much work". When you master the basics, your artwork will be advanced to the next level. Perspectives are truly wonderful tools. 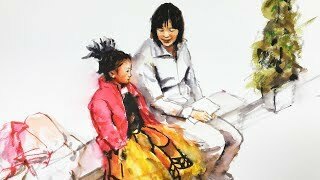 If you like to sketch with pen, colored pencils, ink brushes, and combined with watercolor washes in your daily life, this library will be for you. Many artists practice this regularly when they are outdoor, traveling or in life-painting sessions. This Library includes monthly lessons for some level of members. These lessons are more as sharing of my conceptial ideas, and my personal painting projects, news, or new discoveries in the area of drawing, painting. ©1994- Enjoyingart and NashuaOne LLC, All Rights Reserved.